Colossians 1:15b — Paul refers to Jesus as the “firstborn of every creature.” What does this mean? Is Jesus, God’s only begotten Son, a created being? This study provides an answer to this important question and similar ones concerning the identity of Jesus. Colossians 1:12-14 — We forget don’t we? We forget what God has done for us through the work of His Son. Our hearts can grow cold and hard. In this simple study we consider five amazing things God has done for every Believer. Colossians 1:11 — Busy and tired. That’s how most of us feel most of the time! In this study we learn that God always has strength for His people. We also learn how that strength gets from God to us. 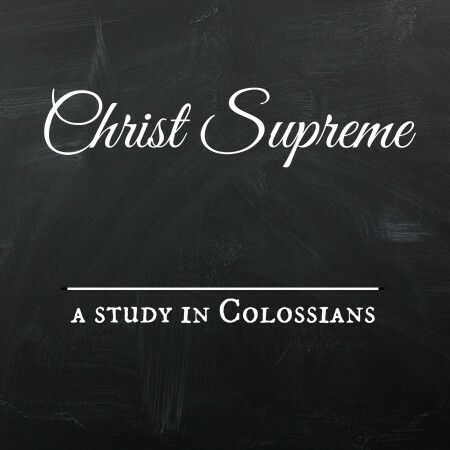 Colossians 1:6-8 — In this study we learn how the Gospel is spread, how it’s received and what it does. Praise God the Gospel brings forth fruit in us and in all the world! Colossians 1:3-5 — The Apostle Paul gave thanks for the Colossians’ faith in Jesus and their love for all God’s people. That which animated their faith and love was the hope that was theirs in the Gospel. Every Christian enjoys this glorious hope!